I’ve spoken before about the time I was lucky enough to work on Tern Island in French Frigate Shoals. 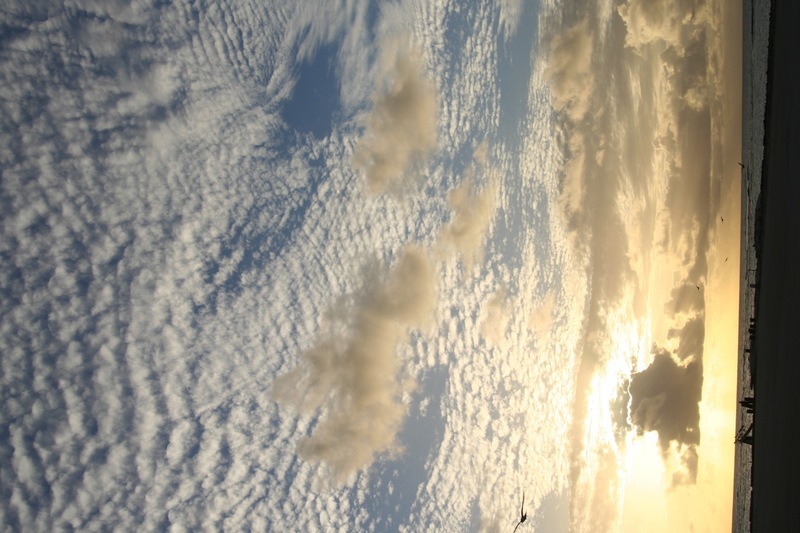 Part of the Hawaiian Islands National Wildlife Refuge, it is an amazing place to take in the seabirds of the North Pacific. 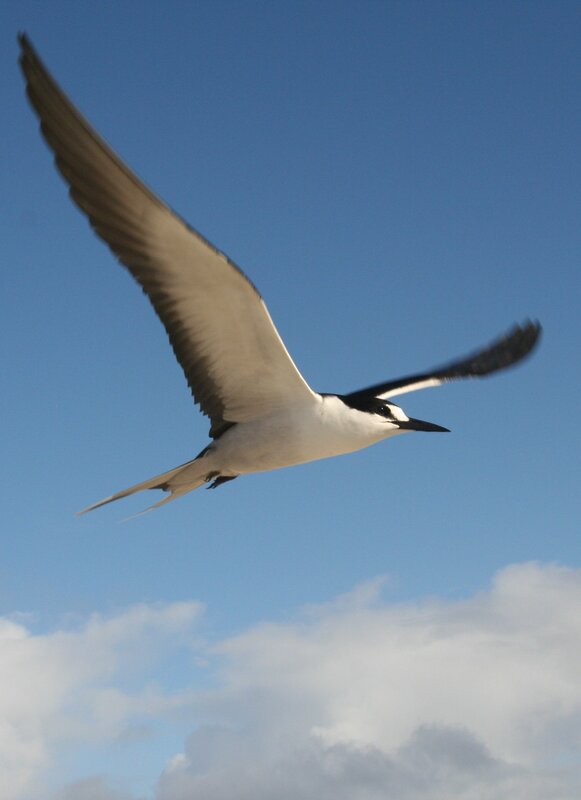 Last time I talked about the amazing Great Frigatebirds, today I’ll introduce the birds that give the island its name, the terns. 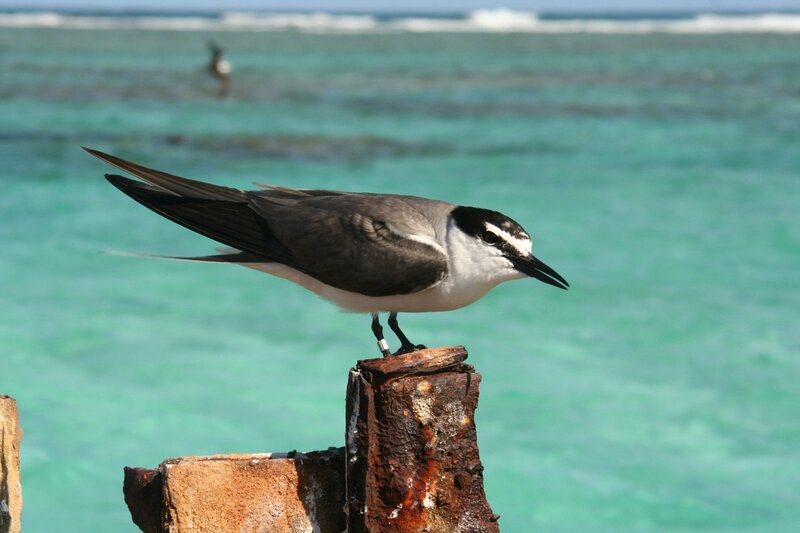 Tern Island is an odd island, originally the largest spit of sand in the atoll that is French Frigate Shoals, it was converted into an airfield during the Second World War. 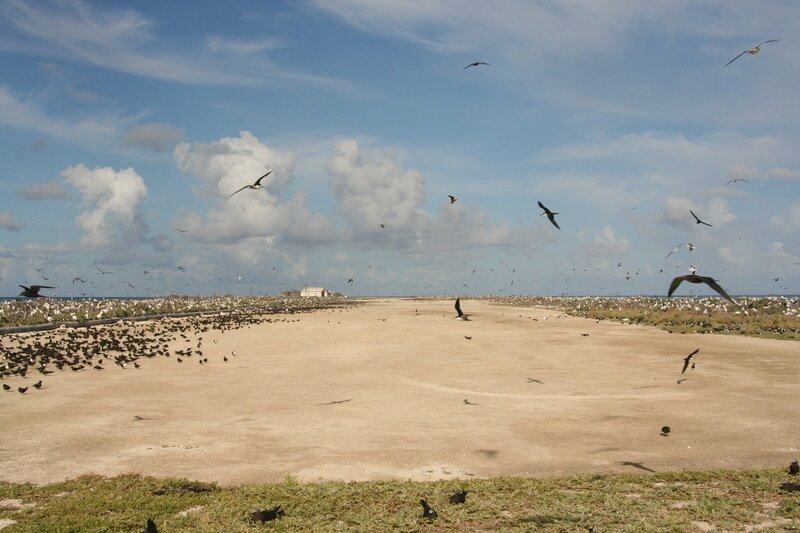 Today the airstrip still dominates the island, with the narrow strips of greenery on either side providing the space for the thousands of nesting birds that make the island its home. The runway at Tern island, looking west. The birds are not allowed to breed on the runway, but many loaf around on it. Click to enbiggen. 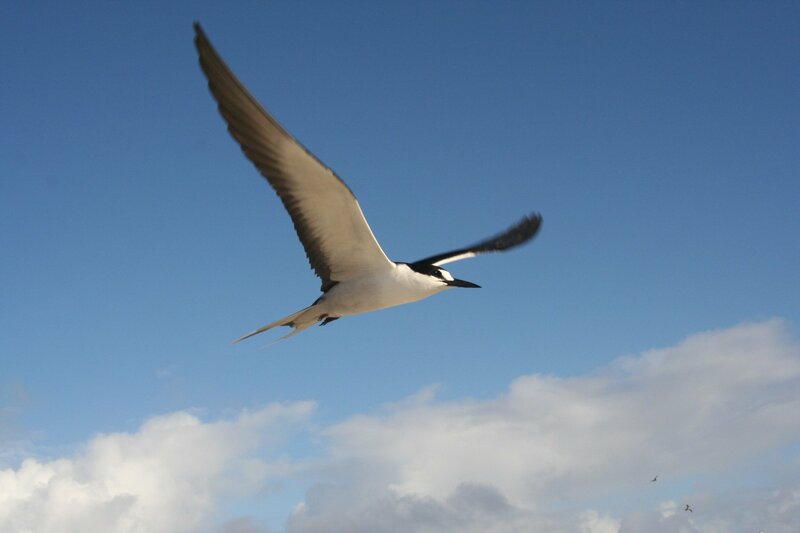 The most dominant tern species on Tern Island is the Sooty Tern. 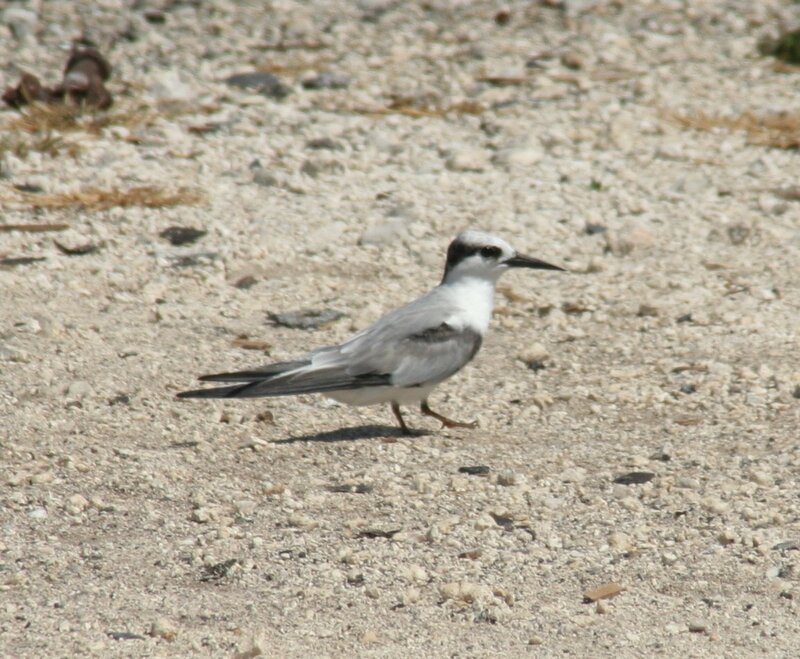 Around 100,000 of these terns breed on almost every available space on the island, and walking through groups of them is a deafening and quite painful experience. They would sometimes land on our heads as well. Lots of Sooty Terns (Onychoprion fuscatus) with a few other birds squeezed in. Closely related but far less dominant is the Grey-backed Tern. This species nests on the edges of the larger colonies and was much quieter. Perhaps because of this I think I preferred them, they are also very attractive birds too. Along with the classic looking terns the island has several types of noddy. 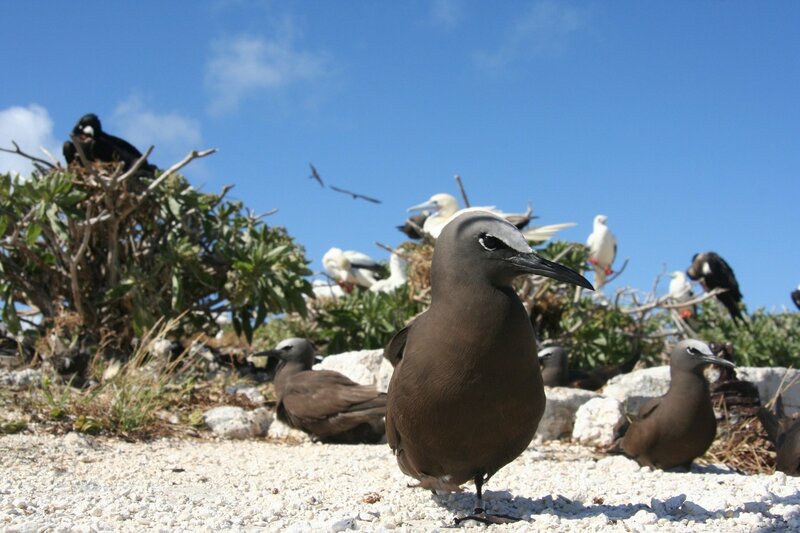 The largest species of noddy is the ground nesting Brown Noddy. 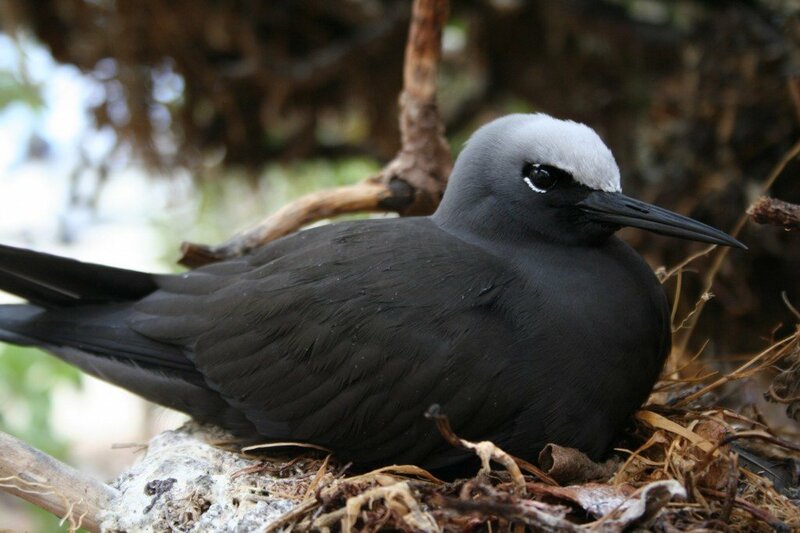 The smaller Black Noddy on the other hand breeds on nests build in bushes and trees. Everyone’s favourite tern is of course the beautify White Tern, famous for nesting in the most lunatic of locations such as on bare branches. This one found a ledge on one of the buildings a suitable place to lay an egg, a location which is positively decadent for the species. 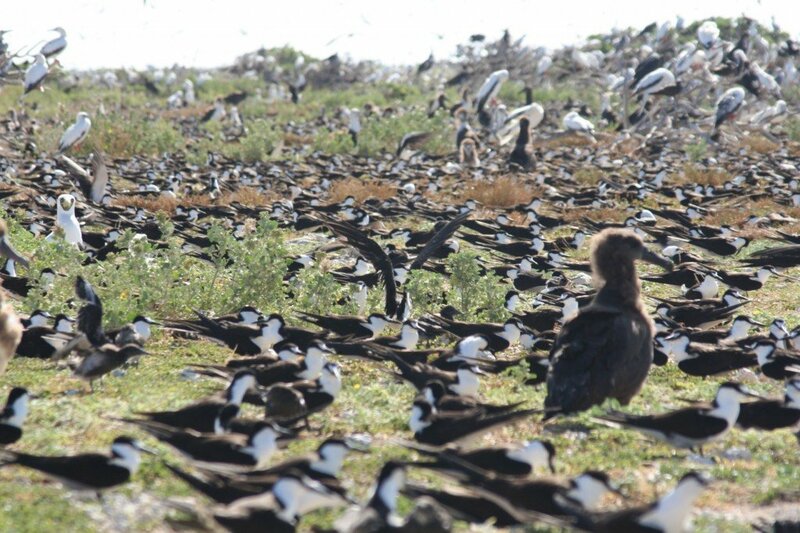 Finally amongst the breeding terns of French Frigate Shoals is the Blue-grey Noddy. This species doesn’t breed on Tern Island itself, but does sometimes turn up there. It does breed on La Perouse Pinnacle, a scar of rock in the centre of the atoll that is the last chunk of the island that once stood there. 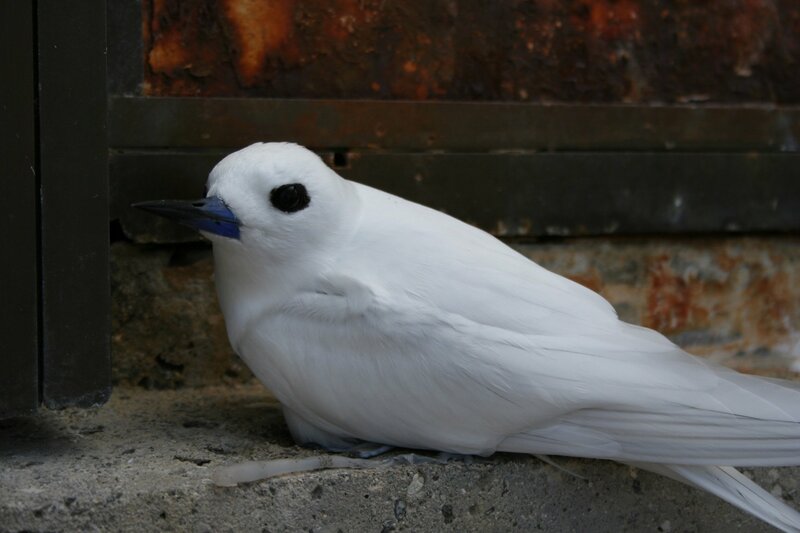 Along with Nihoa Island this is the only place this species occurs in Hawaii. Finally, there was another tern present on Tern Island when I was staying there, the Least Tern. 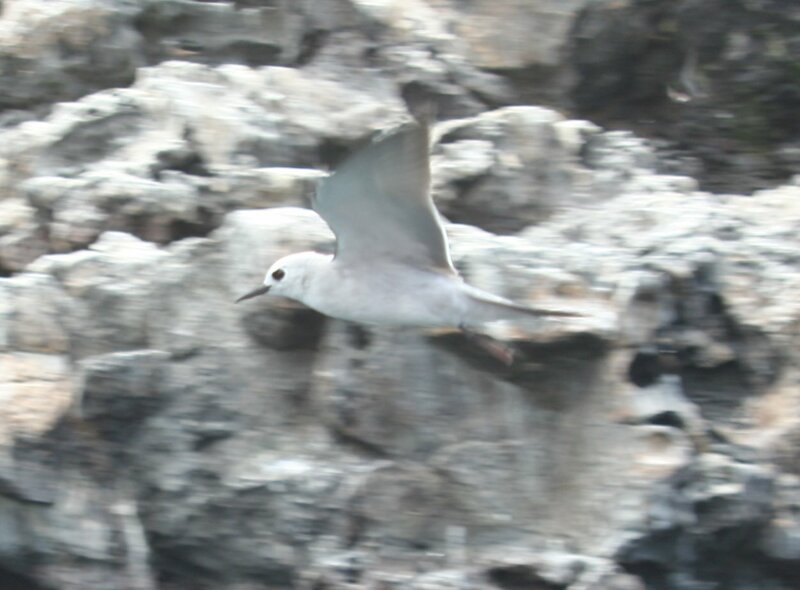 This species is technically a vagrant but there was a suspicion that it might be breeding on the island as adults were seen along with this juvenile. The juvenile Least Tern (Sterna antillarum) was often seen with the adults. I’ll come back in the future with more detailed looks at some of these species, as well as the other seabirds that make the island their home. 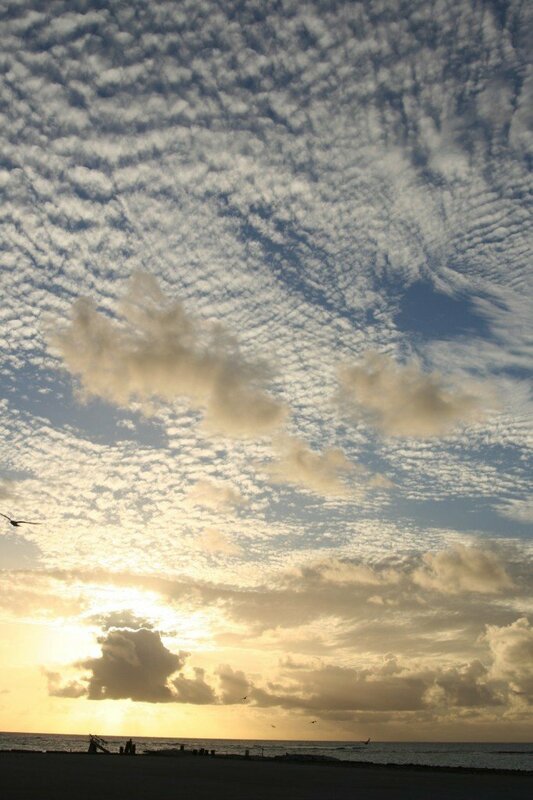 In the meantime I’ll leave you with this evening shot of the big sky that such a part of life on the island. All photos by me but belong to the US Fish and Wildlife Service and are Public Domain. Wow, these photos are phenomenal, Duncan. You’ve got a way with seabirds! Beautiful photos, beautiful birds, beautiful place! Great post! Birding, Cool? But Of Course!